I did not cause the madness, the deaths, or the rest of the tragedies any more than I painted the paintings. I had help, her help. Or perhaps I should say she forced her help on me. Page 56: "I was simply overwrought, as my grandmother had been telling me since I'd arrived in Paris. And for good reason." New York Times bestselling novelist M.J. Rose is a meticulous researcher and masterful author of historic fiction, as anyone who has read her Recarnationist series can attest to. 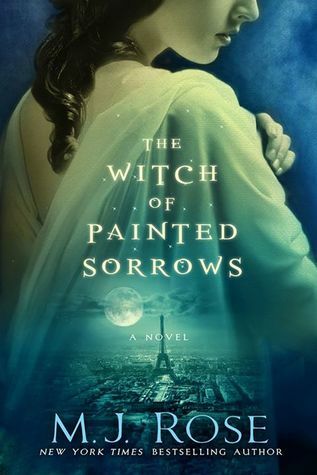 The Witch of Painted Sorrows is the first in a new series entitled Daughters of La Lune. Friday Focus: The Friday 56 & Book Beginnings #76 was originally published by Catherine for bookclublibrarian.com. This post cannot be republished without attribution. Retweeting and sharing on Google+ encouraged and appreciated.